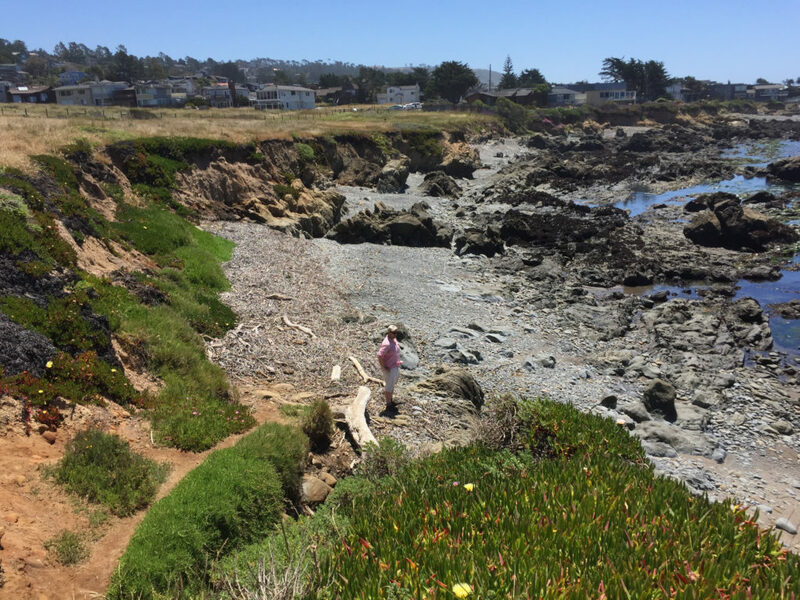 Are you looking for a hike that works for novice and more advanced hikers in Cambria? 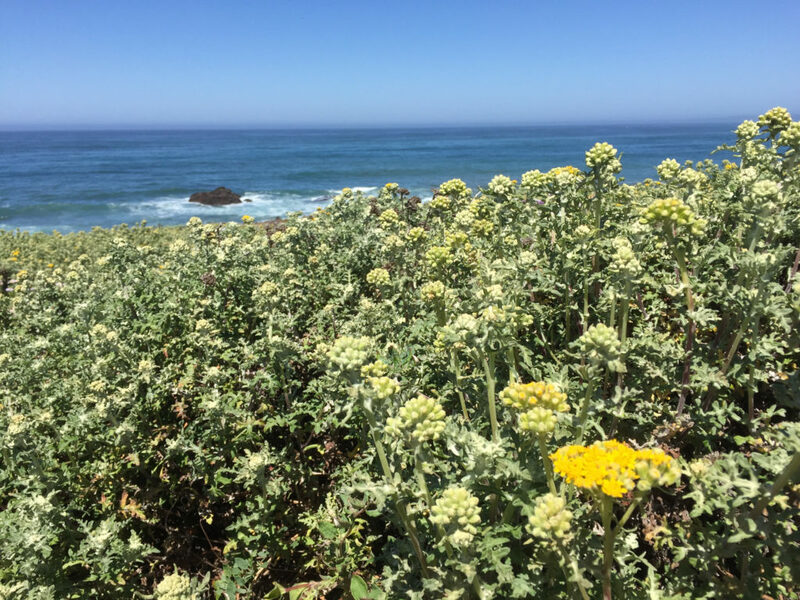 Fiscalini Ranch Preserve may be the hike for you! 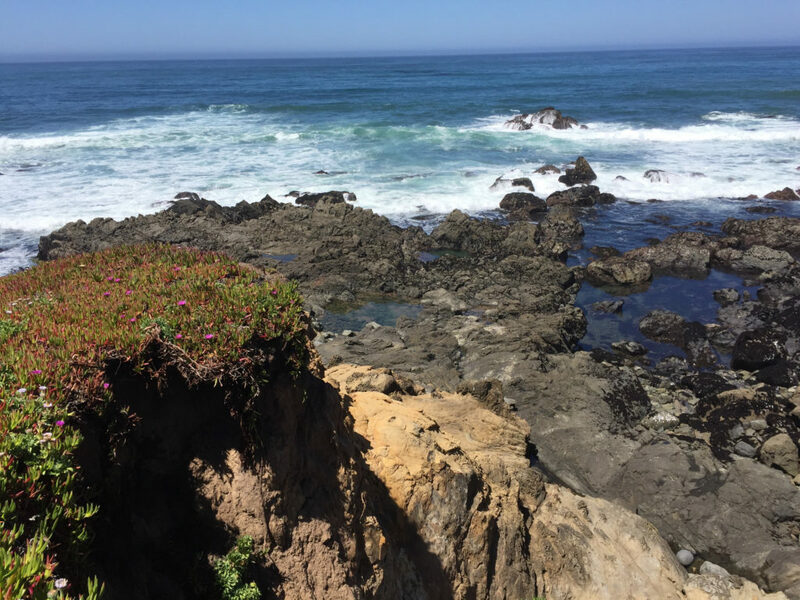 The Preserve reportedly covers 430 acres, including a significant swath along the California coastline. 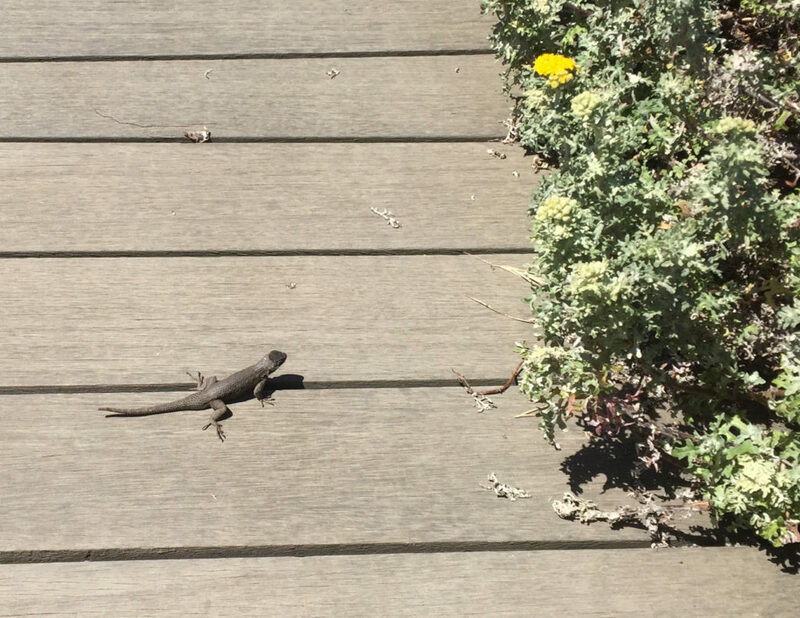 And even for a newbie hiker like me, it’s an adventure worthy of getting off the couch (or in this case, leaving a wine tasting room). How did we end up here? 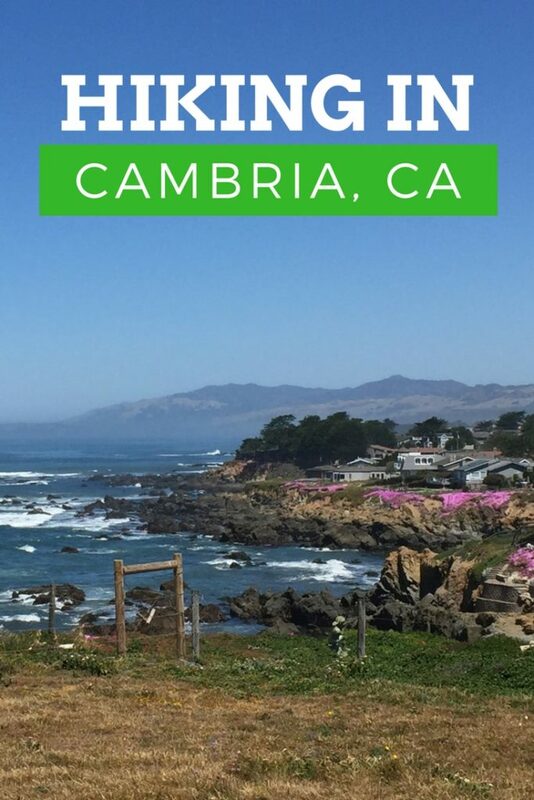 We were in Paso Robles enjoying our mini-honeymoon when Andy mentioned that not only was Cambria a mere 40-minute drive away, but there was a beautiful hike he had taken once that he wanted to share with me. Well, that was far too tempting to pass up even for me who was firmly in “I don’t want to exert myself” mode. 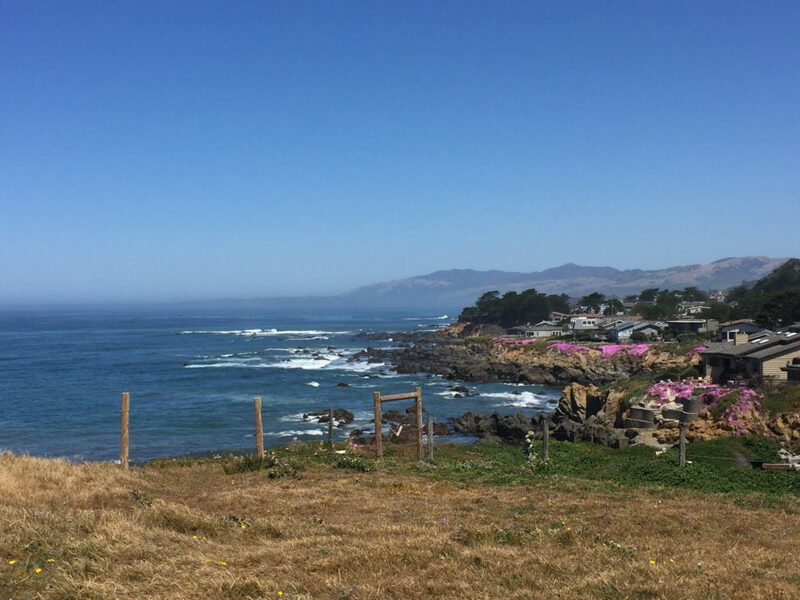 So, we hopped onto CA-46 and made our way toward the coast. 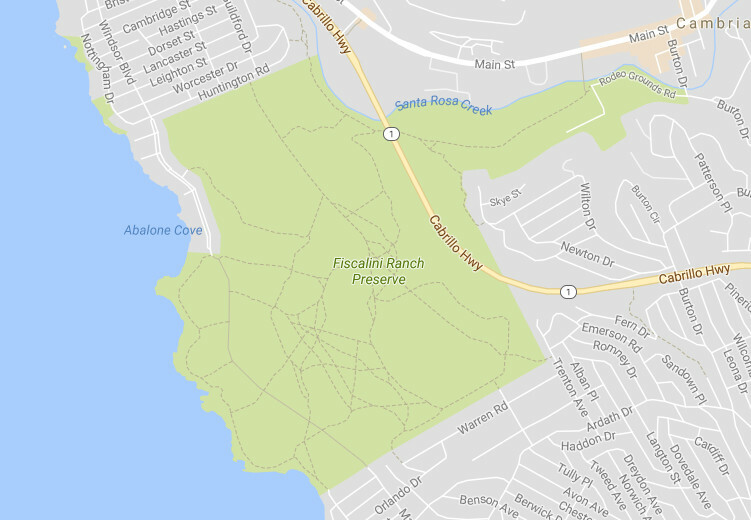 Fiscalini Ranch Preserve is free for hikers, and there are two convenient parking lots at either end (we parked in the one near Abalone Cove). Dogs on leashes are welcome, and apparently, you can even horseback ride on some of the trails, although we didn’t see anyone doing that while we were hiking through it. It’s open all year long during daylight hours. 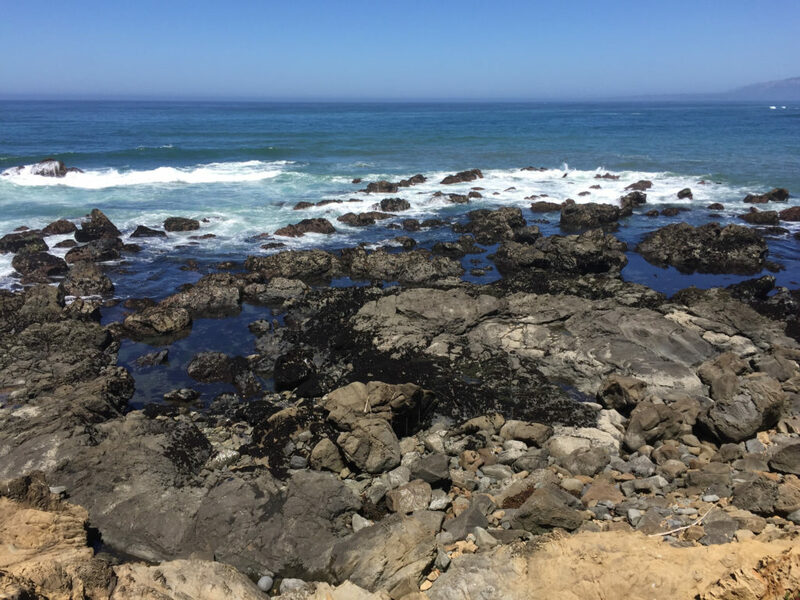 And it provides some truly stunning views (apparently, you can even see migrating whales during certain parts of the year). 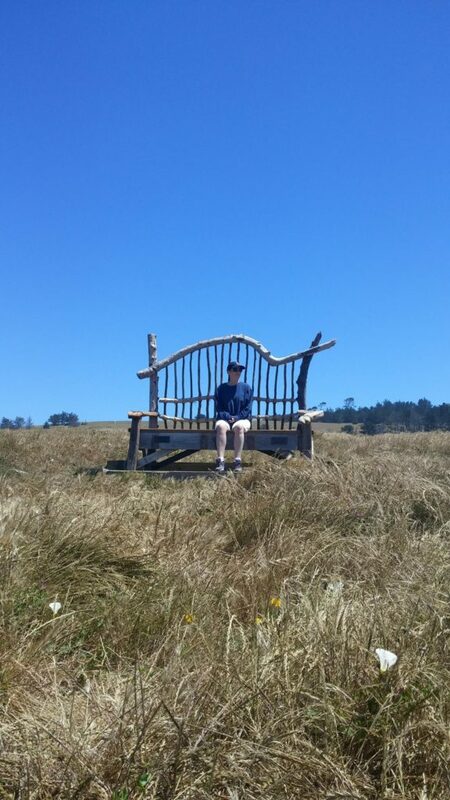 There are numerous trails you can take, including little off-shoot trails that take you to artistically-wrought benches within the wildflower fields. They can also take you closer down to the rocky beach – the footing can be a little tricky for the climb down, but most people we saw doing it didn’t seem to have too much difficulty. We took the main trail in and down along the coast before taking the loop to return to the parking lot. You can also take a path up onto the cliffs, but I was feeling tired and the day was getting quite warm. 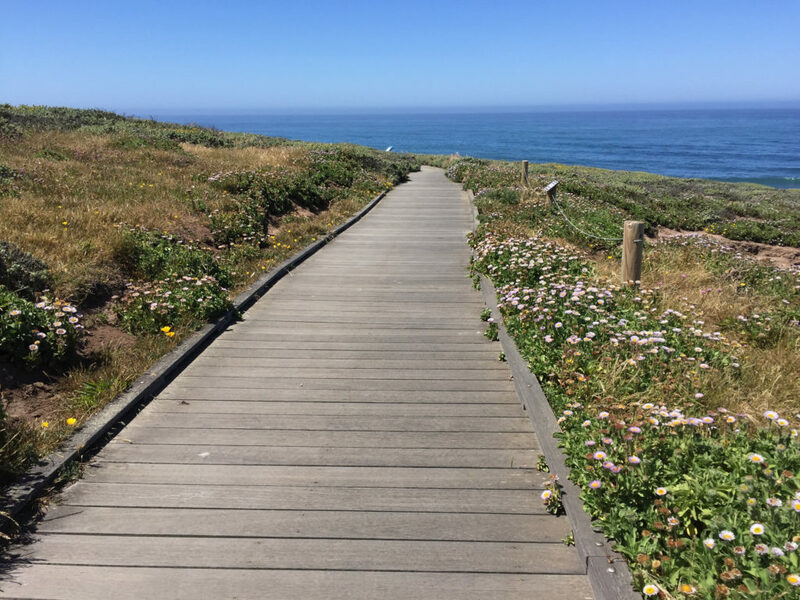 Andy actually walked all the way from the Bluebird Inn (in downtown Cambria) into the Preserve the first time he visited, so if you are looking for a longer trek, the opportunity is here.